Series 1 Apple watch in terrific condition. Only one minor scuff on bottom right-hand corner, not noticable unless looking for it. You will never miss any calls. Detachable mini flip phone design make you feel like a spy! inDigi™ A1 Universal Bluetooth Smart Watch Mini Phone with Dial Keypad & OLED Display. Discover inDigi A1 Smart Watch, a sleek and minimalist smartwatch that brings your phone to your wrist via Bluetooth. SWAP TWO is interconvertible to Bluetooth mode and SIM card mode, allowing you to slot in a micro-SIM card on board or connect to your phone via Bluetooth. SWAP TWO also smart enough to work and function without sim card and it is compatible with all Bluetooth devices. New ListingSamsung Galaxy Watch SM-R805U 46mm Bluetooth + LTE Silver ~ New! Free Shipping! Unlocked to any career new never been used. With its HD color touchscreen, integrated microphone and speaker, U-Watch acts as a wireless dialer, allowing users to handle calls directly from their wrist - bringing you all functions of a modern smartphone in a convenient wrist watch form and at a fraction of the price! With its color touchscreen, integrated microphone and speaker, U-Watch acts as a wireless dialer, allowing users to handle calls directly from their wrist - bringing you the all functions of a modern smartphone in a convenient wrist watch form and at a fraction of the price! GT8 is interchangeable to Bluetooth mode and SIM card mode, allowing you to slot in a micro-SIM card on board or connect to your phone via Bluetooth. GT8 also smart enough to work and function without sim card and it is compatible with all Bluetooth devices. You will never miss any calls. Detachable mini flip phone design make you feel like a spy! inDigi™ A1 Universal Bluetooth Smart Watch Mini Phone with Dial Keypad & OLED Display. Screen: OLED. More than a simple watch! The indigi™ A18 Smart Watch & Phone is one of our latest Smart Watch/Phone's to date. Complete with Bluetooth, GSM Quad Band connectivity and being fully unlocked. The A18 is a quadband GSM (850MHz, 900MHz, 1800MHz, 1900MHz) unlocked phone that can be used from anywhere across the world. You will never miss any calls. Detachable mini flip phone design make you feel like a spy! inDigi™ A1 Universal Bluetooth Smart Watch Mini Phone with Dial Keypad & OLED Display. Screen: OLED. Discover inDigi A1 Smart Watch, a sleek and minimalist smartwatch that brings your phone to your wrist via Bluetooth. (need to install the App). Watch screen: OLED touch screen. 1 x Smart Bracelet Watch. Watch band: Silicone material. Watch band thickness: 3mm. Watch band width: 15mm. Watch buckle: Stainless steel. Watch length: 250 mm. HUAWEI WATCH SPECIFICATIONS. -HUAWEI WATCH. Android 4.3 /iOS 8.2 . This capacity is the nominal battery capacity. Actual results may vary. Typical value. Actual capacity may vary slightly. Heart Rate Sensor (PPG). 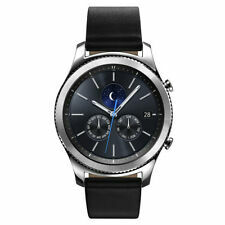 Samsung Galaxy Watch 42mm Black LTE & Bluetooth. The next generation of the ultimate Smartwatch built for kids is here – Kurio watch 2.0 ! best of all, kids can customize their watch! All Kurio watch 2.0 bands are interchangeable, so pick your favorite color and swap it in! 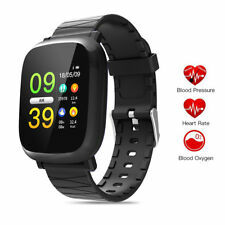 NO.1 F18 Smart Watch IP68 Waterproof Heart Rate Monitor Sport Wristband GPS 1.3"
38mm with 8GB storage. Series 3 Nike with Aluminium Case. Preowned, works great! Normally you are still able to touch and the watch responds despite the crack. Watch & 2 bands only. Health functions : Heart rate monitor, Sleep monitor, Blood Pressure. Sport functions: Running, Cycling,Football, Swimming, Table tennis, Badminton, Climbing. Detachable mini flip phone design make you feel like a spy! Discover inDigi A1 Smart Watch, a sleek and minimalist smartwatch that brings your phone to your wrist via Bluetooth. inDigi™ A1 Universal Bluetooth Smart Watch Mini Phone with Dial Keypad & OLED Display. Condition is Used. Mint condition. Xiaomi Mi Band 3 Smart Wristband Bracelet Watch OLED Touch Screen 50m Waterproof US. 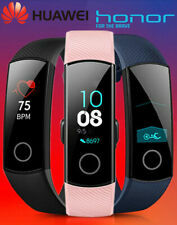 Original Xiaomi Mi band 3 Smart Wristband OLED Display 50M Waterproof Heart Rate Monitor Bracelet. If you have received the object is Chinese display and manual, just install the application Xiaomi mi fit in your smartphone and then connect it via the Bluetooth and then this clock will change the language as smartphone language after you successfully Connected by Bluetooth this will not affect your use. 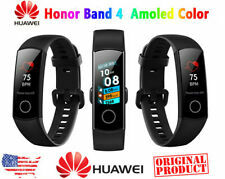 1 x Huami Amazfit Cor MiDong Smart Bracelet. Model: Midong Cor A1702. Dial material: Corning gorilla glass. English Version. Bluetooth version: V4.1BLE. Color: Black. Alert type: Vibration. Language: English.